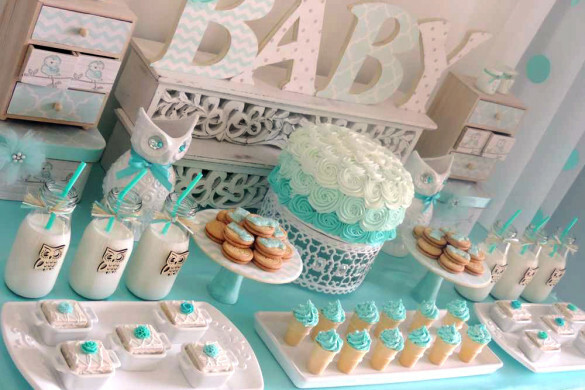 For sweet tooth moms, a candy baby shower theme is the best baby shower theme of all! 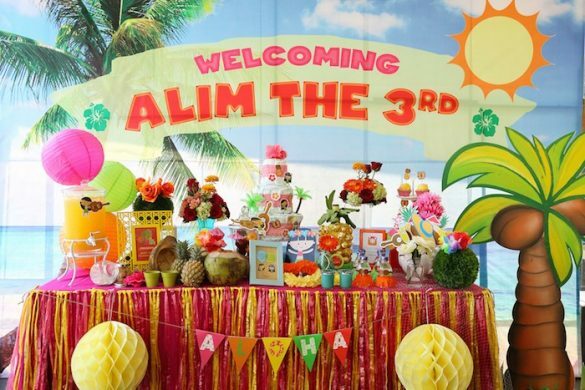 Not only is this party the sweetest but it is also the most colorful. You can find candy and chocolates in every different color! 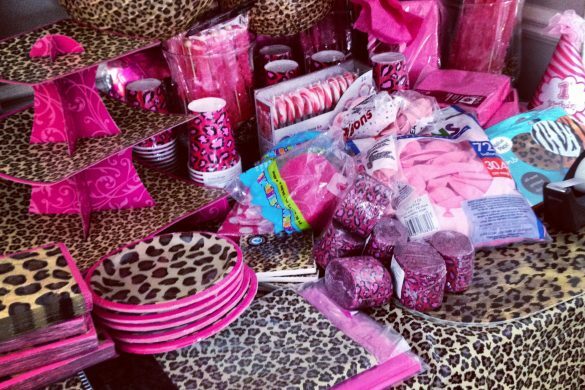 And the candy theme is not just about the party favors! 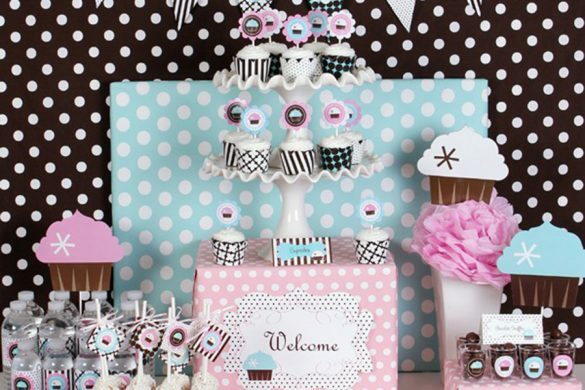 A candy themed party is candy through and through from start to finish. 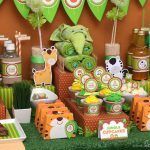 Here are some great candy ideas to help you out! Hide candies in the most unsuspecting place of all; a piñata! 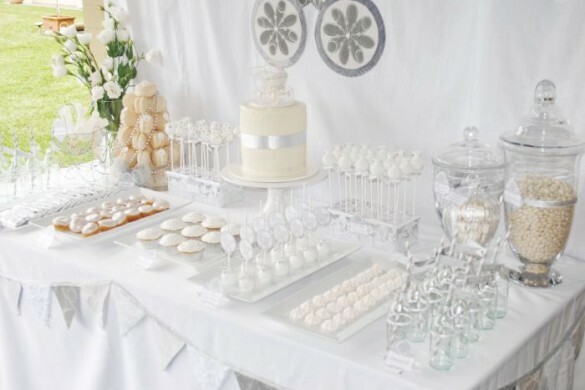 Watch your guests become hungry like children for sweets as they wait for someone to break the poor piñata! 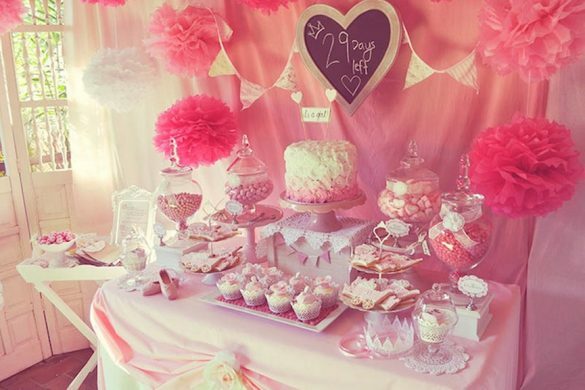 You can fill the piñata with all the sweets that you want and what your guests will certainly want. 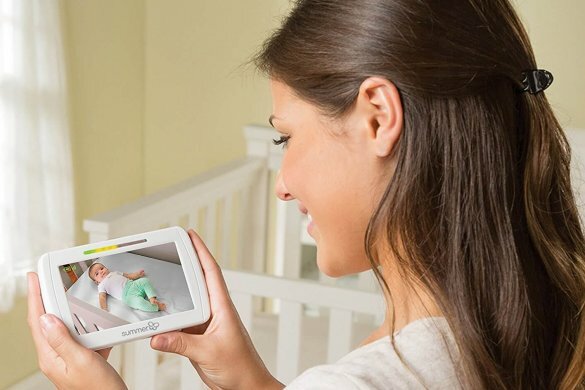 Fill it with gum drops, marshmallows, toffees, candies, lollipops, candy bars and chocolate bars. Watch as your guests take turns hitting the piñata and get all the candy that falls as the piñata cracks open. 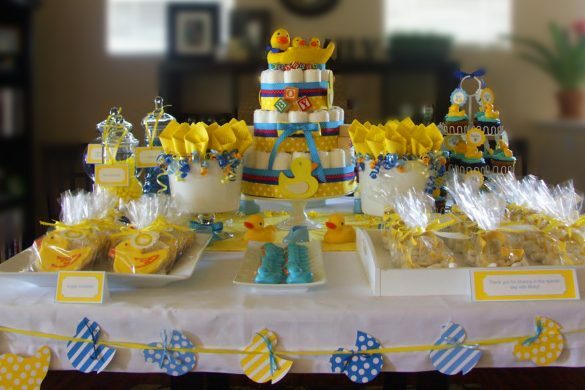 Make a candy dress and wear it to your candy baby shower. Design a beautiful candy dress and have a seamstress sew this for you. You will be the best dressed mom to be with the most amazing handmade candy dress that is unique anywhere in the world. 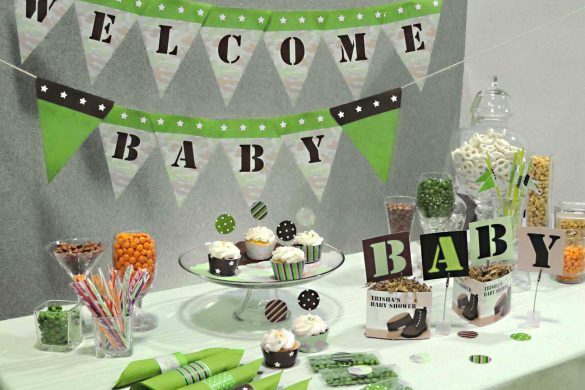 Another candy inspired idea is to decorate your baby shower chair with small candies. Imagine a beautiful rattan chair decorated with all the different candies that you could ever think of. 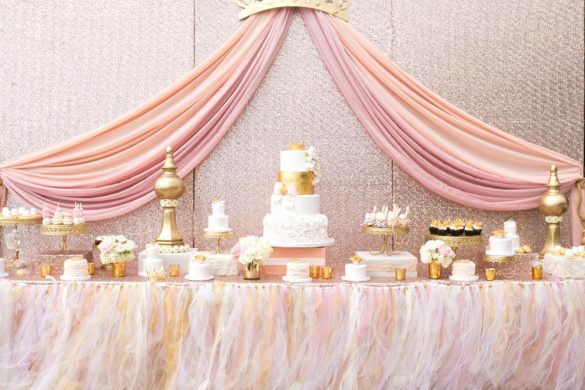 Make this chair even more special by making a cotton candy cushion or a chair skirt out of cotton candy. 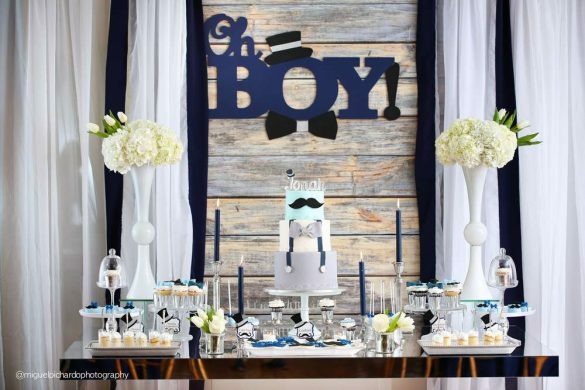 Definitely a throne worthy of someone celebrating a baby shower! Candies are perfect keepsakes and souvenirs. Candies can be as small as mint candies that you can stuff into cans, see-through bags, or even glass canisters too. 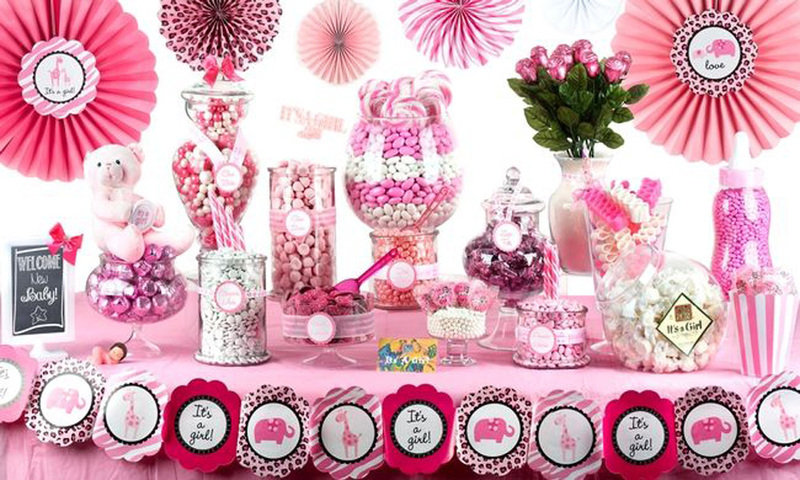 Candies can also be as large as you can imagine such as extra-large lollipops with a swirling design. They can make tasty treats for you and your guests but don’t forget to remind them to brush and floss afterwards! 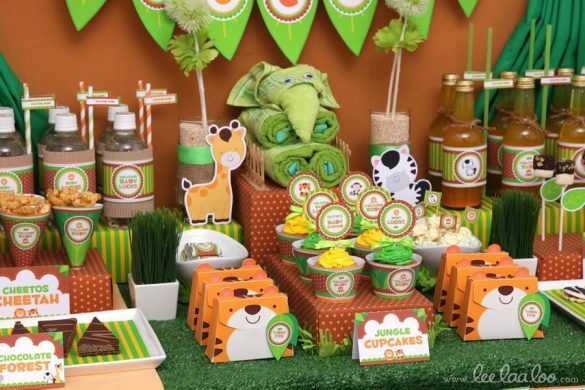 Candy baby showers have a sweet appeal to both the young and old. 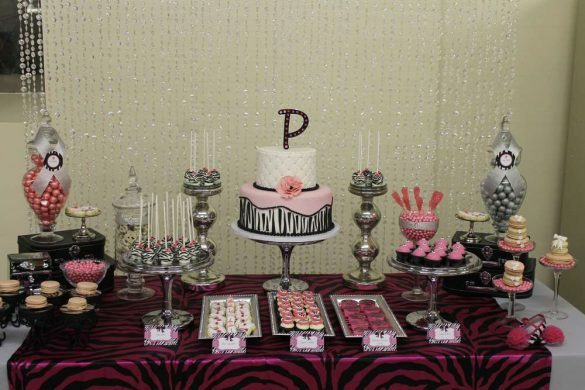 There is something magical about candy and sweets that you can never find in any other kind of theme. 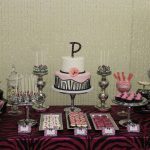 Candy inspired themes may also be on baby shower cakes, pastries, desserts and ice cream. 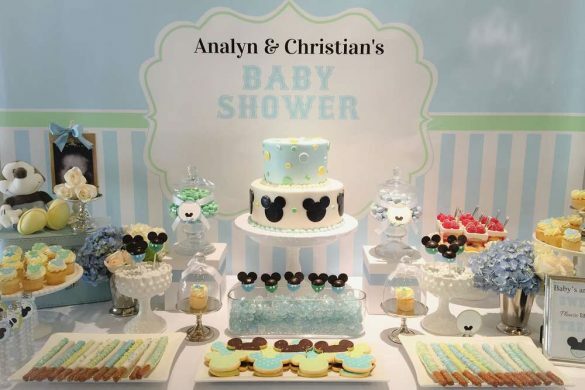 Make your special event the sweetest with a candy themed baby shower.